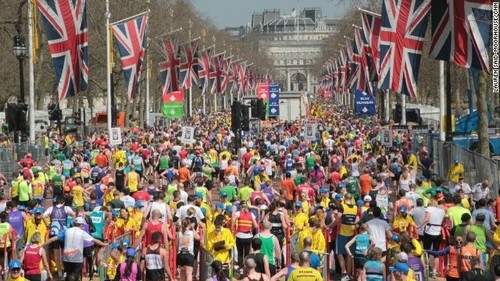 The Online ballot for the London Marathon 2015 (http://www.virginmoneylondonmarathon.com) will open on 22 April 2014. Last year 125,000 entries were received within 11 hours. It is expected that this year 125,000 people will be allowed to enter before the ballot closes. Successful entries will be notified in October. Jake will be applying for his 8th London Marathon through the third route. Hopefully, some of you will be able to join him there next year! This entry was posted in Blog and tagged Action Potential, chiropractic, Marathon, Physiotherapy, Running by Action Potential. Bookmark the permalink.